We're back at home now sorting through all our photos and videos from this summer's North Channel cruise (and believe me, there's A LOT to sort through). We cannot wait to share this year's adventure with you! 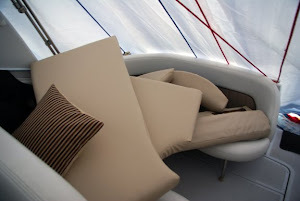 We've also been so busy this boating season that we haven't had a chance to update the blog with our spring boat renovations and our weekend trips, including a stay at Burnham Harbor in Chicago for a concert at Northerly Island.